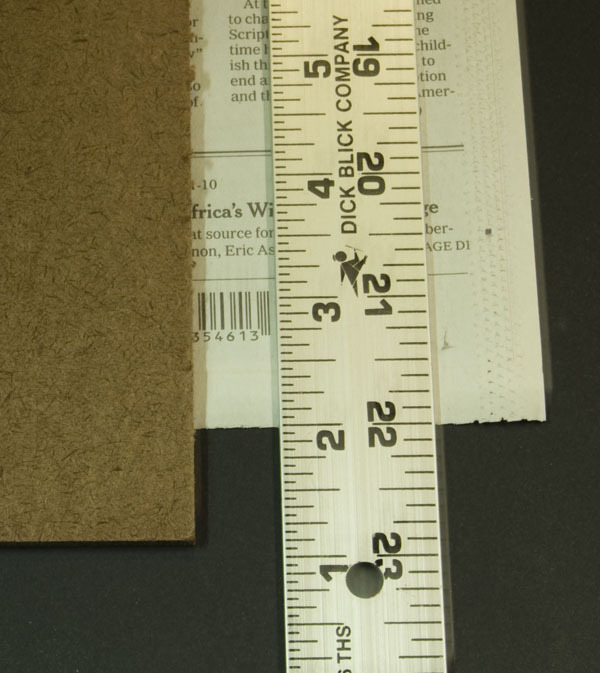 Sometimes the newspaper (or other Ephemera) that you want to measure isn't very flat. This can make it difficult to measure. Here are some tips for measurement. The images shown are for a newspaper but these methods can be used to measure any ephemera. Notice that I use a ruler in all the photos. 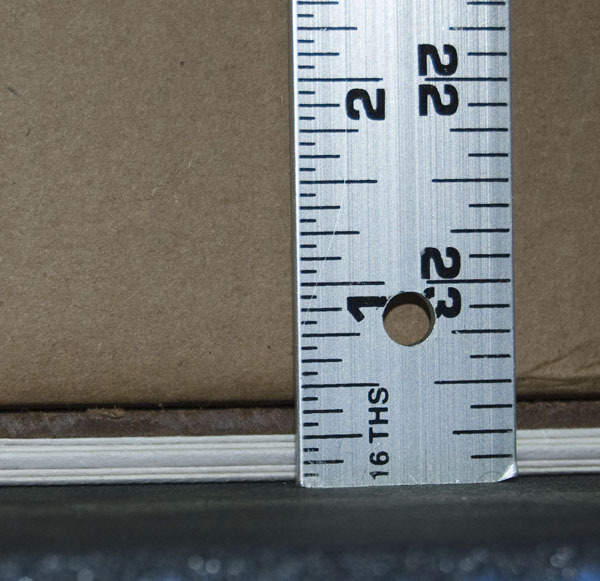 A ruler makes measuring easier than a tape measure. 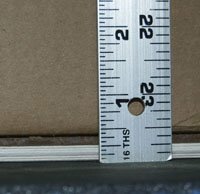 Measuring the thickness of a magazine or newspaper can be tricky because most are very thin. First lay the item on a flat surface such as a table or counter top. Place something perfectly flat on top of it. If necessary place some weight, such as a box or books on top to hold it down. 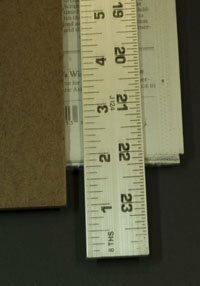 Now measure the distance from the table top to the edge of the material you placed on top of the item. In this case you can see that the newspaper is 1/4" thick. 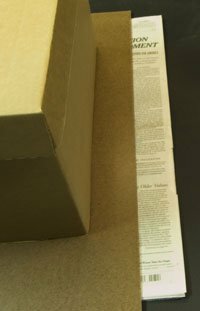 Measuring the width or height of a broadsheet newspaper can be tricky as they have been folded and don't want to lie flat. In addition, newspapers rarely have nice square edges like a book or a magazine. As we will see below, this will cause the measurements to vary. First we need to make the newspaper perfectly flat like we did above. 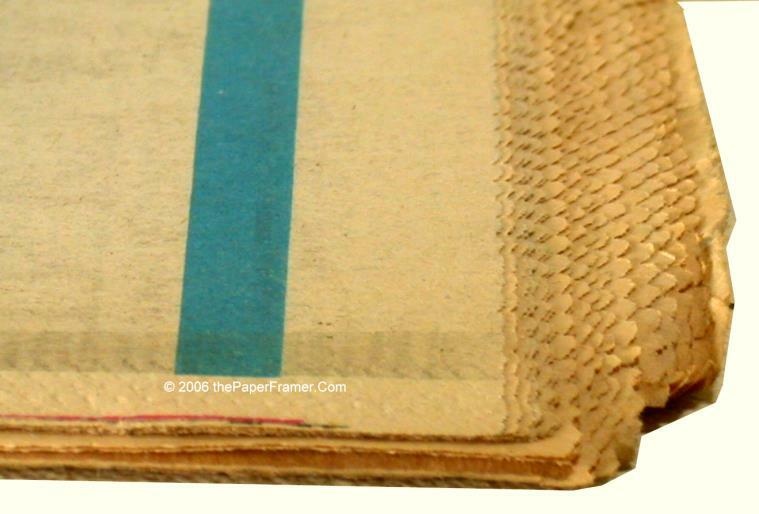 Here I used a piece of masonite and a box of books to keep it flat. We are measuring a New York Times here. 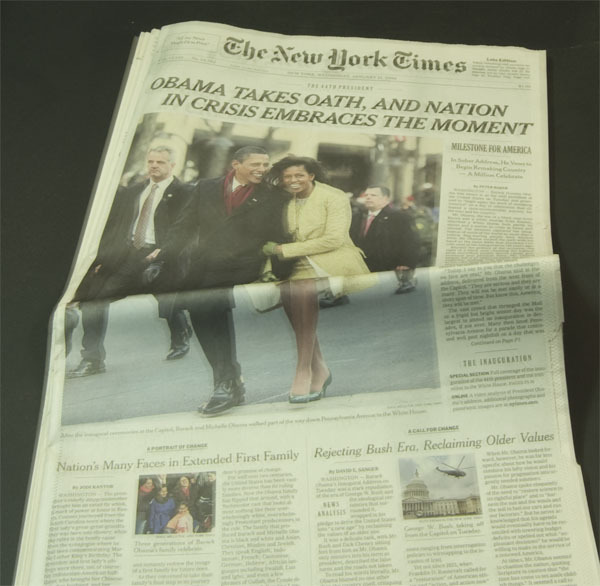 The size of a current NY Times is 12" x 22". 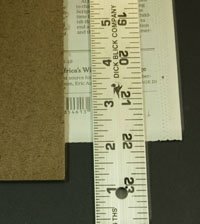 We are measuring the entire paper here and due to the un-even edges the actual height measurement is 22 1/4". I have removed all but the cover page here and folded the front page so it is square. The paper now measures 22" high.